Are you a hiking junkie who wants to keep hitting trails even when they are blanketed in snow? Lucky for you, you absolutely can. You just need to find a great pair of snowshoes. These special shoes allow you to hike across the snow covered ground without sinking into it. Just imagine, no more struggling to get to where you want to go. 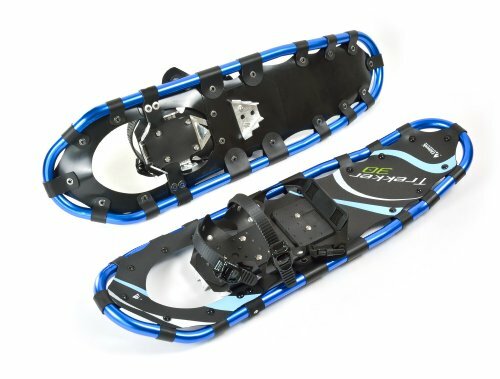 But, how do you find the best snowshoes for hiking? One of our big goals here at The Adventure Junkies is to make your life easier when it comes to shopping for outdoor gear. 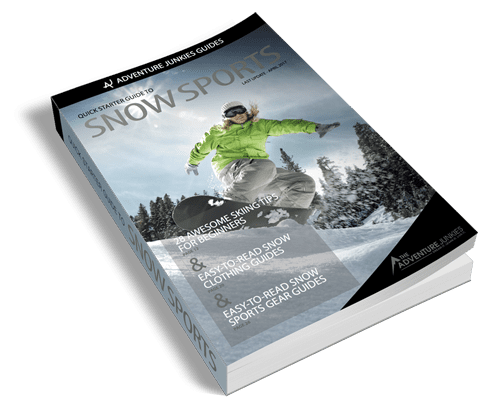 In this article, we’ll guide you through what to look for when choosing snowshoes and show you our selection of some of the best models of the year. There are three different types of snowshoes: flat terrain, sloping terrain and steep terrain snowshoes. There are also a few models that are made for specific activities such as climbing and trail running. Let’s talk about each type of shoe in detail so you can learn which is the best type of snowshoe for you. 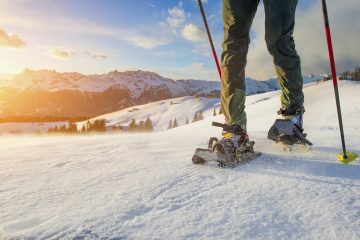 FLAT TERRAIN SNOWSHOES are the best snowshoes for beginners. They’re made for easy walking on flat to gently rolling terrain and on well-groomed trails. 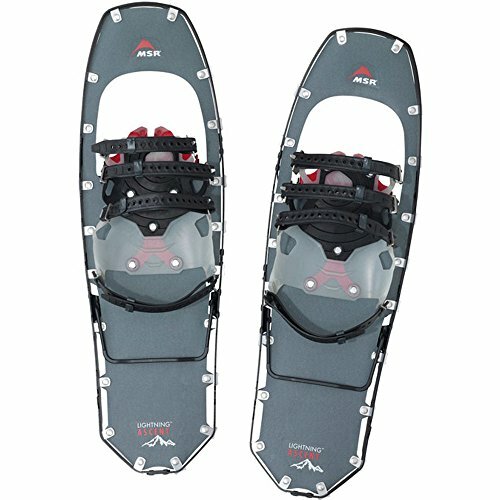 These recreational snowshoes have simpler traction and are shorter than the other two options. They need less flotation because the trails are groomed. 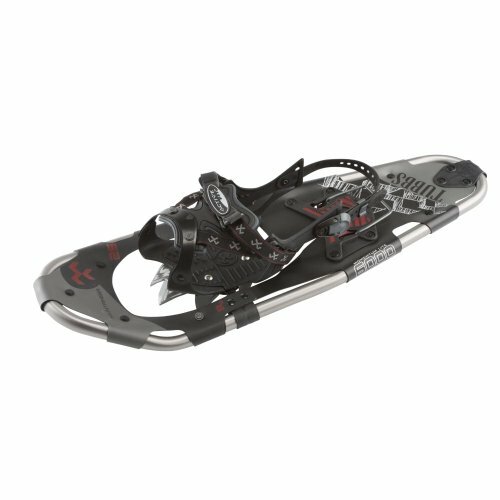 SLOPING TERRAIN SNOWSHOES are ideal for those who want to do more serious winter hiking and backpacking. They are designed for use on trails on steeper slopes and rugged terrain. Their flotation is better than that of recreational snowshoes. 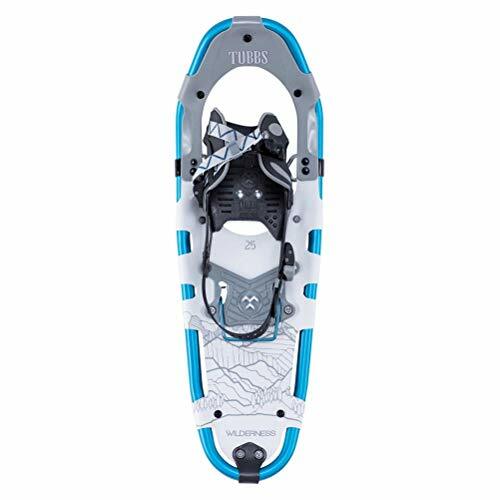 These are arguably the most useful snowshoes for hiking because they work well for all but very steep terrain and icy conditions. STEEP TERRAIN SNOWSHOES are specifically designed for backcountry use. They‘re suitable for experienced hikers, snowboarders and mountaineers. Designed for icy and steep slopes, they come with climbing-style crampons. If you’re an adventurer looking to blaze your own trail, this type of snowshoe is for you. The size of your snowshoes is the most important feature with regards to flotation. Snowshoes distribute your weight over a larger area so that your foot doesn’t sink completely into the snow, this is called flotation. In general, the lighter or drier the snow is or the heavier the hiker is, the more surface area is required for proper flotation. Snowshoes also come in different shapes. Oval shapes provide better flotation because of their larger surface area. Narrow tapered shapes have less flotation but allow for more speed. Some types combine these two styles and feature a teardrop shape, with a wide frame and a tapered tail. 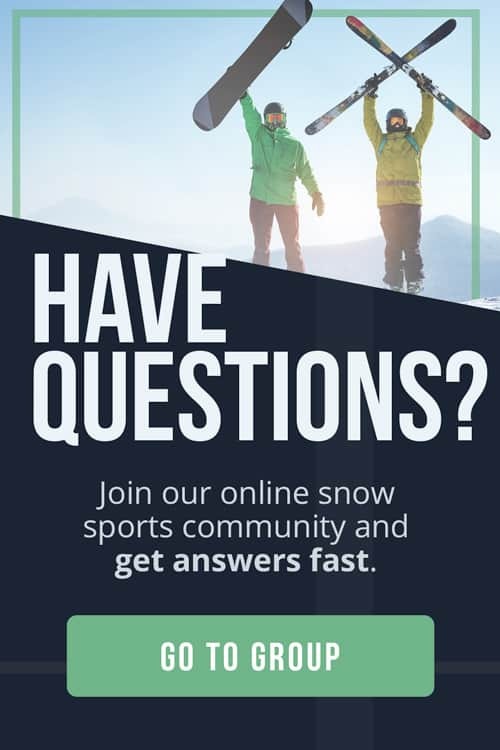 Take into account your own weight (the snowshoes will specify which weight range they support) and the most likely snow types of the region you’ll be snowshoeing most often. When checking out recommended loads, it’s important to know that these numbers are based on light, dry snow conditions. Many manufacturers also make a women’s specific snowshoes. These shoes feature narrower designs and sizes down to 8″ x 21″. These shoes also have bindings that are sized to fit women’s footwear. While many women can use a unisex shoe, some might want to consider this option because it will fit better and be more comfortable. 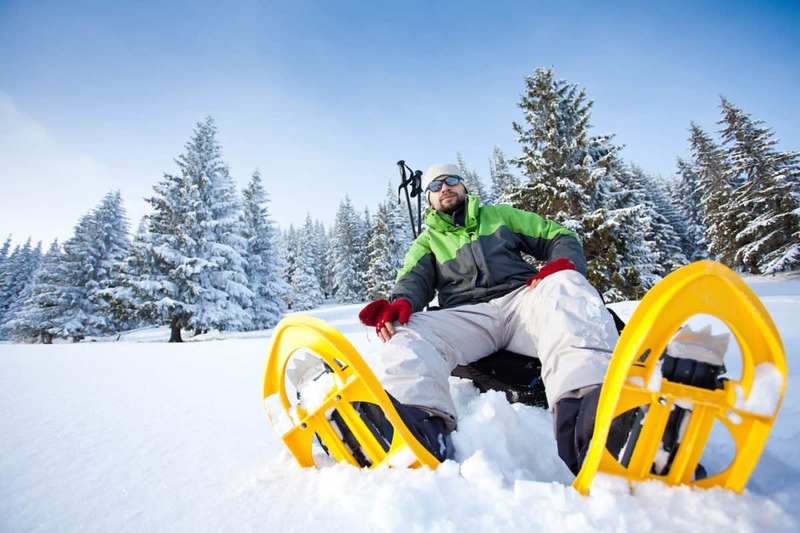 In addition to staying “afloat” on snow, it’s critical to make sure that your snowshoes have enough traction. While making your way up a slope, the last thing you want to happen is sliding back down. 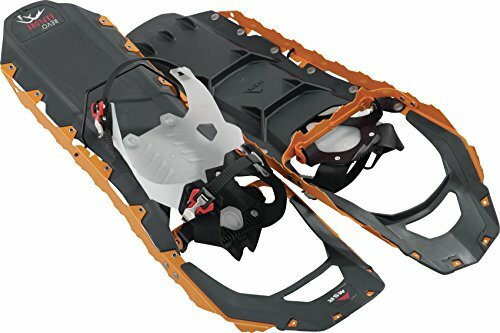 Nowadays, all snowshoes come with crampons. However, it’s still important to check the amount of traction they provide. The crampons are almost always placed underneath the bindings and/or on the side frame rails. Crampons only underneath the bindings are sufficient for snowshoeing on flat groomed trails. But, if you want to take on steeper and perhaps icier slopes, you’ll want all the traction you can get. 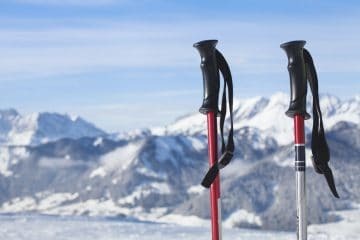 Other, extra types of crampons you may find on snowshoes are heel crampons and heel lifts, which are also known as climbing bars. Pay attention to the crampons’ material and their depth. The deeper, the better the grip. Steel is a superior material because it’s durable, this is essential for technical, steep and icy terrain. There are two types of snowshoe bindings—fixed and rotating bindings. The function of bindings is to secure your foot into the snowshoe. They consist of straps that go around your heel and over your foot. Fixed bindings do exactly what their name implies. They fix your foot onto the snowshoe, keeping it aligned with the shoe at all times. This gives you greater control of your foot’s movement and more comfort. It also makes it easier to navigate obstacles and objects. The downside is that these types are more difficult to use when walking and ascending (it’s somewhat like walking with skis). Rotating bindings are able to pivot at the point of attachment to the snowshoe. This is under the balls of your foot. Allowing for greater freedom of movement, it makes it much easier to walk with your snowshoes and climb mountains. The downside here is that backing up and crossing obstacles can be awkward.